run like the paparazzi is chasing you & other tips on how to speed your mile time up. I get asked on the daily how I run so fast. And the truth is, I did not get here over night by any means. My fastest mile time is about a 6:40. I still don’t consider myself a fast runner at all and know I have a long way to go, but that being said, I am proud with how far I have come. And, hopefully, with a little help, I can help you lessen your mile time too. My first recollections of running were that of the dreaded yearly mile in school. I would spend the entire day leading up to it racking my brain to come up with ways to get out of it. Fake an illness. Fake an injury. Throw up. Die. None of these ever worked and year after year I laced up my tennis shoes and headed out for a loop and a half around the park per my gym teachers orders. The feeling that came with running (aside from dread and total exhaustion) was this burning sensation in my lungs that just hurt and a feeling that I may never cool off again. This was not something I wanted to do unless there was a man with a gun and/or knife chasing me and I had no choice. Enter college. What a wonderful time for the freshmen fifteen. It thrives and flourishes among the us young adults and overstays its welcome every time. As I fought my own personal battle against it, I knew that it was time to pick up that dreaded passed time of running. I had read many articles on the benefit of running and all the great things it could do for you and how it was the best calorie and fat burning exercise blah blah, but it just hurt so darn much. So, I started slow. I slogged through one mile a day 4 times a week. 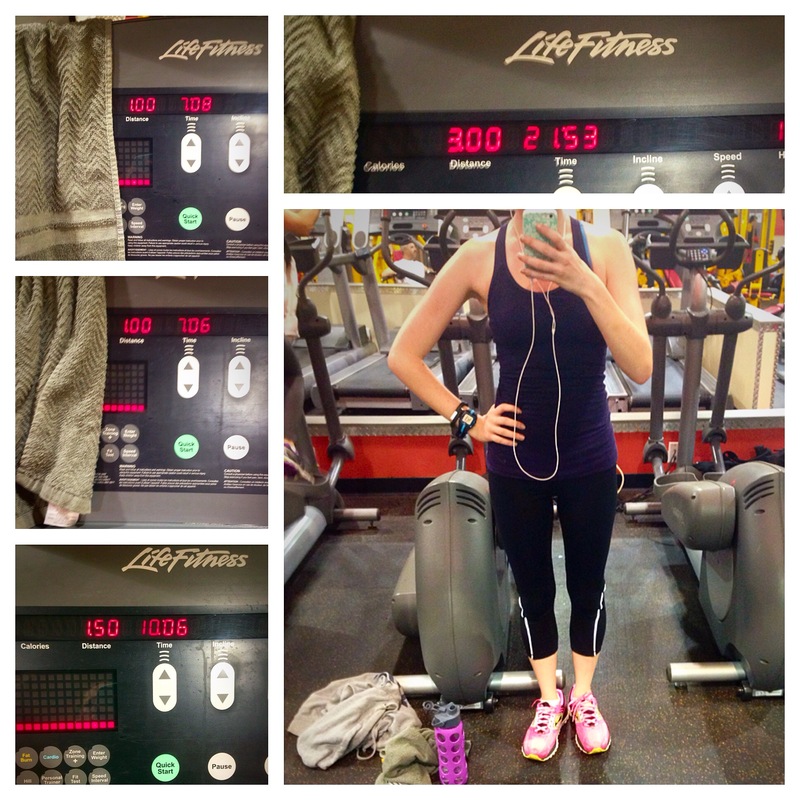 When I first started I ran at 6.0 mph on the treadmill and cursed every darn minute of it. But then, I started getting smart. If I stagnantly ran at 6.0 miles per hour once a day for the rest of my life, I might die of boredom. So, I decided to play a game with myself on the treadmill. I would run at 6.0 for a minute and then bump it to 6.2 for a minute and then bring it back down to 6.0 and continue to switch for the whole mile. This made time fly by and I actually started shaving time off of my mile. The next time I did this I did 6.0 to 6.2 to 6.0 to 6.3 (!!) to 6.0 to 6.2 to 6.3 and so forth and so on. Eventually, after some time I started bumping up the intervals even more and starting on 6.3 until I moved up to where I am now. Now, it hasn’t been intervals alone that have helped me speed up, but it has definitely helped. In addition to this, I also recommend planking. 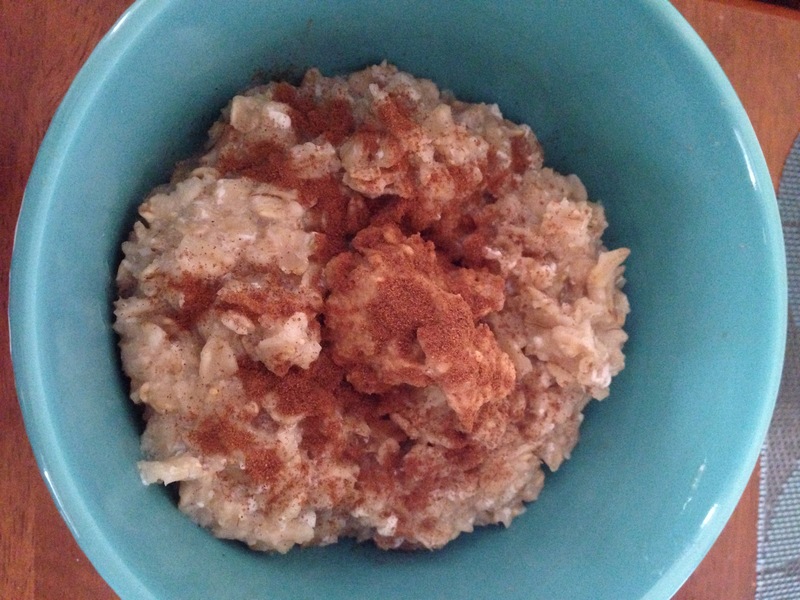 I do a 3 minute plank every day while my morning oatmeal is cooking. Planks help build a strong core which is essential for running especially far distances or fast paces. Cross training is definitely a must as well. Now that I do Kayla Itsine’s Bikini Body Guide, I alternate her resistance days with runs. I never run and do her workouts on the same day. Her resistance circuits are very good for building cardio endurance while simultaneously working major muscles that runners often neglect (I’m looking at you glutes). If that’s not your speed, pick something else that will work other parts of your body whether it be yoga (great for core too!) or weight lifting or swimming or heck anything! It’s amazing how good not always running can be for you! Finally, be mindful of your diet. I’ve talked about this before in a previous post, but your diet is key to your success. When I was in my first year out of college, my diet was just junk. I ate barely anything other than cereal and eggs and was eating way too little for the amount of exercise I was doing. On November 1st, 2013 I was rushed to the ER because my iron and hemoglobin levels were insanely low. I should have noticed this at the time since running for even 5 minutes at a 10 minute pace was essentially torture, but I chose to ignore the signals and ended up in worse shape for it. Anemia is a HUGELY common occurrence for females especially those that are active. I still take iron pills every other day to ensure that this won’t be me again. Within a matter of months of getting my iron situation sorted out, I had gone from struggling to run for 5 minutes to running 5 miles at a sub 7 minute mile pace. Listen to your body, it can tell you more than you’ll ever know. Step 2: Repeat and go as fast or as slow as you please. One of the things I really enjoy about running is how individual it is. I get to choose how fast or slow I go on any given day. How long or short my run is. Whether I want to do it inside or outside. If I want to listen to music or tv or nothing at all. It’s my choice. To learn how to run, you just have to decide that you want to. You need no equipment. It’s never easy when you start, but the more you work on it, the better you get and the better you feel. Every person who runs will tell you about the struggle of starting, but there is a reason that they stick with it. It can be therapeutic in a way that not many exercises can be. You can get lost in yourself, and that, my friends, is an amazing feeling. Today’s run was strangely awesome. It was an incredibly dreary day outside so I decided to take my morning run over to the good ole treadmill. My short planned run turned in to a 6.5 mile excursion. I decided to start out slow because my legs were really sore, but once I got in to the grove, I just didn’t want to stop. That feeling of never having to stop is something incredible. Your legs feel weightless and connected to the Earth in a way that is almost indescribable. I felt particularly humbled today because it is the anniversary of the Boston Marathon bombings which always makes me feel appreciative. One of my roommates in college/greatest people I’ve ever met/life-long inspiration was at the finish line watching her mom finish up the marathon minutes before the bomb went off. Luckily, she was on the other side of the finish line, but every time this date rolls around, I can’t help but think off the people effected and it lights a fire under my bum. Boil water. Add oats and reduce heat to medium and wait 3-4 minutes. Take oats off the heat and add egg whites stirring. Place back on the heat for a final minute. Pour in to a bowl and add as much or as little peanut butter as you would like. Cal: 220 Protein: 16g Fat: 4g. It is sososo good. Especially when you add a little cinnamon and maybe an extra dollop or so of peanut butter for extra fun. The rest of the day consisted of work and me taking the Boo-ster to the vet. It would be careless to talk about running and not talk about my favorite running partner. Hope you all are having the best day yet!